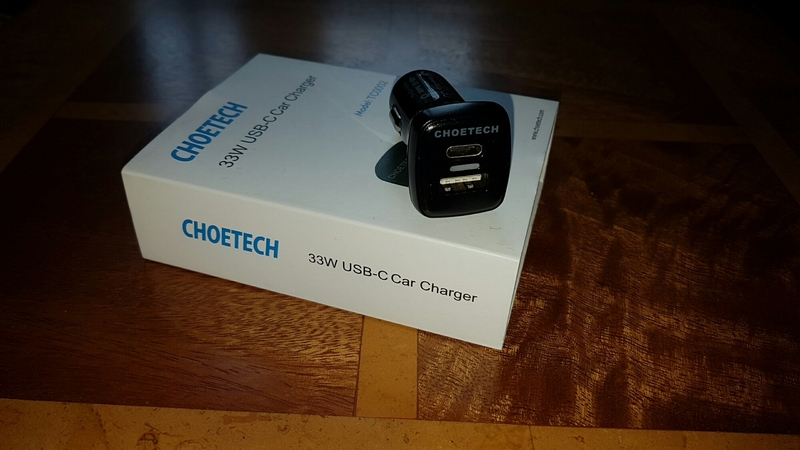 Welcome to my review of the Choetech 33W USB C Car Charger. With the rapid expansion of USB Type C and Quick Charge 3, I knew it would not be long before car chargers would be released that were more specific. The Choetech comes with dual ports. One which is a USB C charging port and means it doesn’t matter which way around you place the cable. This as I found is handy at night. – Safe Guarantee: Over-current, over-charging, short-circuit protection will make the charge safely, without any risk of overheating or damaging your devices. 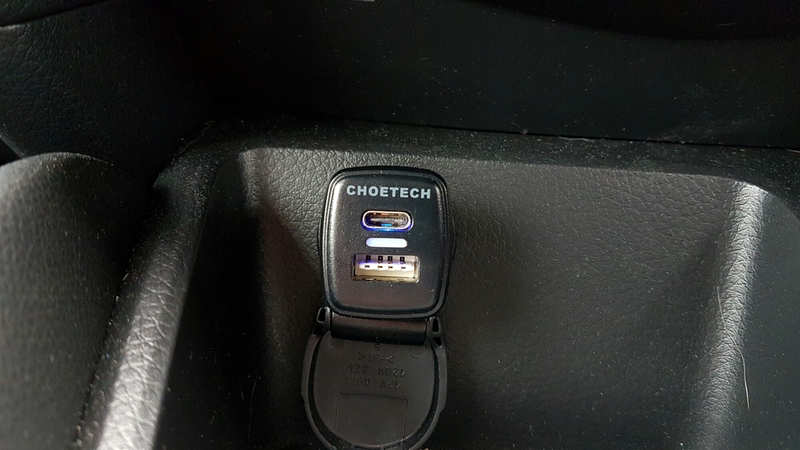 The Choetech 33W USB C Car charger does exactly what is says on the tin. I also liked the fact that it has a compact like profile. See photo below of it inserted into my car charger. I have also created a quick video overview of the product. A useful and recommended car charger for anyone thats needs fast charging and ideal as it has a USB C port. Offer. Choetech have kindly offered a 70% Amazon UK discount code for the first 10 people to email me at gavinfabl at gmail dot com. You then need to ensure you order item via link below too. Be quick! Thanks, looks good. Timely. USB C AND qc3. Future proof. Now to find a desk charger that does the same. Some of the desk chargers I looked at offered the choice of either USB c or 2.4A ie non QC compatible. Reasoning being USB c fast charging does not benefit from QC. There is a gotcha here. They did not include a charging cable so you better use a good thick one. Would like to see with a USB meter that the thing actually delivers what it states. USB c but no 9v output. This car charger does both.